A student at St. Francis of Assisi Catholic Academy in Astoria once couldn’t go to school, play sports or do anything he loved because his kidney disease had a stronghold on his life. But fourth grader George Kyriakopoulos, 9, is now in remission from Childhood Nephrotic Syndrome – and his sister Natalia, 17, recently organized a fundraiser at the school to help raise money for all those suffering from the condition. Natalia, a senior at Fiorello H. LaGuardia High School and a St. Francis alumna, recalled that George was around 3 years old when he was first diagnosed with the syndrome. She remembered feeling “confused” and “scared” by the news. It was difficult for Natalia to watch him suffering. “You know, being an older sister, I was really sad to see that he was going through all this, that he was missing out on things that a lot of kids get to do, like [to] play outside or go see their friends, and he couldn’t do a lot of that because he was still taking medicine,” she added. With that in mind, Natalia developed a desire to help others suffering from the illness, and decided that the best place to start would be at St. Francis. She contacted the organization NephCure Kidney International — which helps to promote awareness and research about kidney disorders and their treatments – and helped organize a dress down day fundraiser for her alma mater. 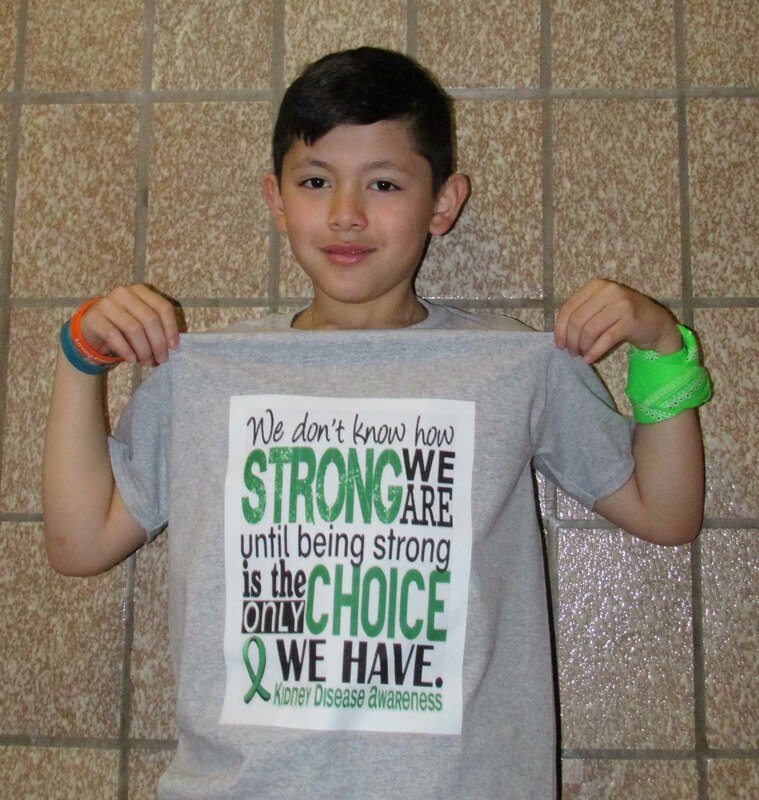 On Wednesday, March 27, Nephrotic Syndrome Awareness Day, students from pre-k through eighth grade class dressed in green – the color for awareness of the disorder – with messages such as “Someone I love with all my heart needs a cure” and “We don’t know how strong we are until being strong is the only choice we have” on their shirts. The students’ families donated as much as their needs allowed – raising a grand total of about $1,275. George gave a speech over the intercom that day, thanking everyone for their support and sharing about his own experience with the condition. “He talked about Childhood Nephrotic Syndrome and he said with God’s grace, everything’s been OK,” Natalia said. George and Natalia have another sister, Isabella, who is a seventh grader at St. Francis, and their mother, Maria, is the school’s Home Academy Association president. It was the Kyriakopoulos family’s faith that helped them cope with the worst times, Natalia shared. George plays basketball, flag football, soccer and baseball. He is also a math bee winner – and recently attended the regional competition at Our Lady Blessed Sacrament in Bayside. Through their participation in the fundraiser, the St. Francis students not only supported George, but they learned that they could make a difference on a larger scale, according to Anne Stefano, the school’s principal. Natalia hopes she too can make a difference – and says George is the main reason why she’s decided to study pharmacy at the University at Buffalo starting in the fall. Organizing the fundraiser, she said, is just the beginning. 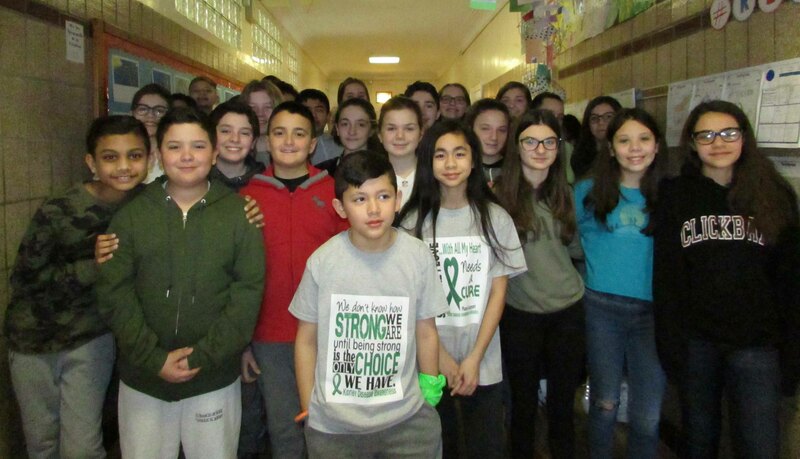 March 27, Nephrotic Syndrome Awareness Day, students from pre-k through eighth grade class dressed in green – the color for awareness of the disorder – with messages such as “Someone I love with all my heart needs a cure” and “We don’t know how strong we are until being strong is the only choice we have” on their shirts.